Golf can be a very tiring game mentally so that is why there are books like these that are can help improve the psychology of a player. It is no secret that the mental side of a player can affect the level of golf they can play which is why these book can be vital assistants in helping a player gain confidence. It is no secret that these books typically provide effective training programs that allow a player to gain the insight they need to develop themselves into better players. Most of these books are often written by some of the greatest names in golf of all time. Nothing is more effective than learning from the pros directly. Make no mistake, they will typically teach the golfer on how to make a perfect swing each and every time they hold a club. Written and co-authored by professionals in the field, these books are great and effective ways of trying to discover the secret behind the perfect swing. From 50 yards and in, no golfer in history has demonstrated more talent, flair, creativity and precision, or generated more raw excitement, than Phil Mickelson. His ability with the sand wedge and putter are legendary not only among fans but his peers as well, and it is his skill with those clubs that is primarily responsible for his winning 34 tournaments on the PGA Tour, including three major championships. In his first-ever instruction book, Mickelson explains in detail how to master every phase of the short game. Mickelson maintains that any golfer of average ability can become a deadly short-game player by approaching the subject with a blend of science (proper mechanics and setup) and art (imagination and feel). Mickelson does a fine job explaining both; combining the wisdom of his great teachers with his own fertile imagination, cultivated from 34 years of experimentation, trial and error. No golfer can afford to miss out on Mickelson?s secrets and tips. The bestselling author of Zen Golf (more than 100,000 copies sold) presents a new book of profound wisdom and proven techniques for achieving the confidence in putting that all golfers know is the key to peak performance on the greens. Blending Buddhist wisdom, modern psychology, and practical golf instruction, Dr. Joe Parent’s 2002 book Zen Golf broke out to become the top instructional book in golf, and continues to be a steady bestseller. Now, in the eagerly awaited follow-up, Dr. Parent provides readers with a new approach to the aspect of golf in which mental skills have the most impact: putting. Zen Putting takes a thinking-outside-the-box approach based on the idea that by tuning into the process of putting rather than worrying about the result, golfers can get out of their own way and maximize performance. Key principles include using mindful awareness to recognize and clear away distractions and negativity, and that confidence increases when golfers take the attitude that there is something fundamentally, essentially right with them rather than focusing on what’s broken or flawed. In succinct, informative chapters, Dr. Parent applies this Zen ideal to a variety of subjects for any putting situation. Chapters include: • “Unconquerable Confidence”: brimming with strategies to cultivate confidence and turn frustration into enjoyment. • “Get Out of Your Own Way”: exploring the obstacles we create for ourselves in putting, and how to recognize and overcome them to get the most out of our abilities. • “How to Make Every Putt”: on reading greens; visualization; putting routine; the key components of a putt—path, pace, and roll; and taking the ideal attitude before putting. Unlike rigid how-to books on putting or fad coaching techniques, Zen Putting stirs each reader to cultivate their own unique style for synchronizing body and mind to achieve peak performance. ?The hottest instructor in golf? (Sports Illustrated) takes on old-school gurus with a far more accessible, intuitive, and innovative approach to those essential chip shots, pitches, and bunker rescues. Veteran golfers know that the secret to a lower score is a solid short game, but mastering those small strokes can be maddening?even for the pros. One of golf?s most revered instructors, Stan Utley now reveals the step-by-step tactics behind his revolutionary short-game techniques in The Art of the Short Game. After introducing readers to his groundbreaking philosophy that explains why most players don?t see all the shots available to them near the green, Utley moves on to shatter conventional wisdom about stance, grip, and ball position. From choosing the right clubs (including a checklist of must-haves that should always be in your bag) to spin reduction during chipping and fearless sand play, The Art of the Short Game demystifies the most aggravating shots on the links. Though Utley?s primer features a full set of drills, accompanied by more than seventy-five photos, his approach is far removed from the monotonous, mechanical instruction of yesteryear. Giving a time-tested secret weapon to every golfer at every level, Utley?s short-game methods turn trouble shots into triumph. "The Pro Tours' Hottest Coach" (Golf Digest) reveals the secrets that helped Phil Mickelson win the 2010 Masters and can utterly transform every player's game. When a resurgent Phil Mickelson won the Tour Championship in September 2009, he was quick to credit a series of simple putting lessons from veteran golf champion and instructor Dave Stockton. As a top coach, Stockton has taught a long list of pro players-including Annika Sorenstam, Yani Tseng (winner of four LPGA tournaments), Adam Scott (Texas Open champion), Hunter Mahan (Phoenix Open champion), and Morgan Pressel (World Ladies Championship of Japan winner)-the putting strategies that finessed their game.Stockton's breakthrough concept is that every player has their own Signature Stroke, which is unconscious. Good putting comes from the mind, Stockton says, not from a series of stiff mechanical positions. With visualization, the right frame of mind, an efficient pre-putt routine, and connection to the individual internal stroke signature, any player can make far more putts. Putting has always been taught as an offshoot to the full swing, when in reality it is far different- almost a different game. Unconscious Putting will help players get out of the rigid, mechanical, overthinking trap.In Unconscious Putting, Stockton shows how players at every handicap level-from pros to weekend golfers-can putt effortlessly and with confidence by integrating a new mental approach with a few simple physical routines that will keep them locked on target. Readers will also gain invaluable advice on reading greens and equipment. Illustrated throughout and filled with anecdotes about how Stockton's lessons have helped today's leading players, Unconscious Putting is a must-have golf book and a category classic-in-the-making. "Golf: The Best Putting Instruction Book Ever! with DVD" Golf BookThe 10 brightest minds in putting show you the easy way to make the hole look bigger and sink more putts. By Golf Magazine. Golf Magazine assembles an all-star cast of putting experts - Dave Edel David F. Wright Ph.D. Mike Adams Stan Utley Maggie Will Mark Sweeney Craig Farnsworth Ph.D. Scott Munroe Marius Filmalter and Mike Shannon. Each expert dedicates an entire chapter to help eliminate the fear and doubt you have about your putting game and replace it with new proven ways to make the putts you should - and a few that you shouldn't. Includes never before seen detail with research to back up every lesson and hundreds of full-color photographs that make the lessons easy to follow learn and repeat on the course. Bonus DVD included: 10 Easy Steps to Putt Like a Pro. aThe hottest instructor in golfa ("Sports Illustrated") takes on old-school gurus with a far more accessible, intuitive, and innovative approach to those essential chip shots, pitches, and bunker rescues. Veteran golfers know that the secret to a lower score is a solid short game, but mastering those small strokes can be maddeningaeven for the pros. One of golfas most revered instructors, Stan Utley now reveals the step-by-step tactics behind his revolutionary short-game techniques in "The Art of the Short Game." After introducing readers to his groundbreaking philosophy that explains why most players donat see all the shots available to them near the green, Utley moves on to shatter conventional wisdom about stance, grip, and ball position. From choosing the right clubs (including a checklist of must-haves that should always be in your bag) to spin reduction during chipping and fearless sand play, "The Art of the Short Game" demystifies the most aggravating shots on the links. Though Utleyas primer features a full set of drills, accompanied by more than seventy-five photos, his approach is far removed from the monotonous, mechanical instruction of yesteryear. Giving a time-tested secret weapon to every golfer at every level, Utleyas short-game methods turn trouble shots into triumph. Lower Scores and Longer DrivesLet’s face the facts. You need to be in shape to be on your best golf game. Ernie Els’ Guide to Golf Fitness offers a comprehensive and fully illustrated fitness plan for every skill level and body type, because sometimes taking lessons and putting in hours of practice aren’t the only ways to improve your game. Ernie Els’ Guide to Golf Fitness will help you design a program focusing on four key areas:* Cardiovascular fitness* Flexibility* Muscle strength* Avoiding common golf injuriesThis program was designed by Ernie’s personal trainer, David Herman, and together they encourage you to train to prevent injuries and improve your confidence and mental focus, both on and off the course. 'I'm impressed ... I can't wait to put the theory to the test.... A very readable exercise for the golfer who wants to understand the basics of the swing and how to put them to work.... I totally recommend this book to all golfers.'. Golf Today, November 2012'Simply, this is one of the best golf books written in recent years. Highly recommended...' Dan Parks, Editor in Chief, Journal of Applied Golf ResearchThe Golf Swing answers that eternal question: why is it so frustratingly difficult? And the answer is - because we make it difficult. This book explains the problem - the 'swing theory quagmire' that confuses and perplexes us. It goes on to outline the solution: a simple, effective, and enjoyable way to improve. Using a scientific review of more than 200 research articles, author Chris Riddoch explains how dissecting the swing into a complicated sequence of angles and positions actually prevents improvement by stifling our powerful, innate skill-learning mechanisms. The way to a better golf swing is to liberate these mechanisms - which thrive on simplicity. The Golf Swing adopts a modern, scientific approach, by combining two sciences: golf swing mechanics and human skill learning. The analysis goes well beyond simply describing a good swing - it explains how to get one. Dave Pelz's Short Game Bible is the first book in a four-book series, The Dave Pelz Scoring Game Series. The next volume in the series will be Dave Pelz's Putting Bible. " He who rules the short game collects the gold." --Dave Pelz's Golden Rule of Golf Fed up with trying to imitate the pros, buying the latest expensive equipment, and seeing your handicap stay the same? The first book by bestselling author and internationally revered golf instructor Dave Pelz since Putt Like the Pros, his bestselling classic, Dave Pelz's Short Game Bible can show you the way to lower scores by improving your short game. The result of decades of scientific research studying thousands of golfers, Dave's philosophy is as simple as it is revolutionary and groundbreaking: Instead of practicing the wrong things the right way, or the right things the wrong way, Pelz shows you how to find your own personal weaknesses and how to improve them to efficiently lower your scores. Packed with all the knowledge, charts, and photos needed to learn from the master, Dave Pelz's Short Game Bible is the essential book for every golfer who's looking to improve his or her game. Dave's approach to golf is easy to understand: 80 percent of the strokes golfers lose to par are determined by their play within 100 yards of the green--the crucial scoring game. The most important and yet the least focused-on aspect of golf, your short game, can indeed make or break your entire game. And nobody teaches the short game like Dave Pelz. His renowned golf schools and clinics focus exclusively on putting and the short game, attracting top players like Tom Kite, Colin Montgomerie, two-time U.S. Openchampion Lee Janzen, reigning PGA champion Vijay Singh, Steve Elkington, Payne Stewart, Peter Jacobsen, and many LPGA players including Annika Sorenstam and Liselotte Neumann. The pros know, as you are about to learn, that while others teach golfers how to swing, Dave Pelz teaches golfers how to score . . . and win. A former physicist for NASA, Dave brings a scientific rigor to his research and instruction that has made him the top short-game expert in the world. Dave has observed and then taught thousands of golfers to improve their ability to score better. The years he has spent studying the short game, including chipping, lobs, pitches, distance wedges, and bunker play, have resulted in an unequaled expertise and a fascinating body of knowledge on golf, with the statistics and data to back it up. 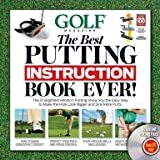 In this new book, Dave for the first time shares the understanding and techniques he has taught the pros, including a wide array of innovative tests and exercises for mastering those deceptive and high-pressure shots of the short game. Dave Pelz's Short Game Bible is an essential book for golfers of all levels. Covering everything golfers need to know to improve their short game, Dave's system can--and will--help you to consistently shoot lower scores.